After a hearty meal at Lau Sum Kee, we decided to utilize the 'Openrice' mobile app for any other worthy light bites in the vicinity of Sham Tsui Po and we decided to settle for a somewhat healthy supper. This place is supposedly famous for its soya bean products, so we decided to give all the signature products a go! This was one of the best renditions of this simple Hakka dish. 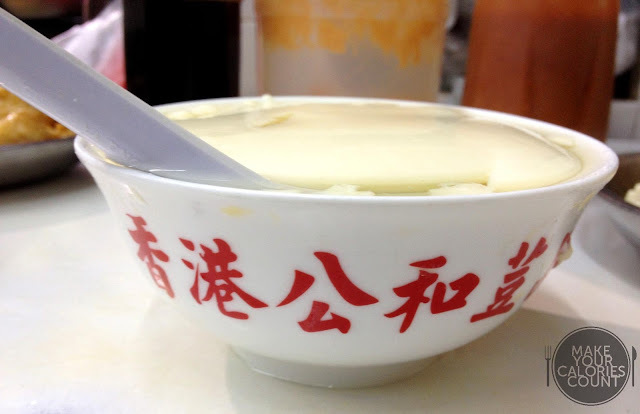 Instead of the meat paste of fish and pork being stuffed into the beancurd, it was actually a thin layer plastered atop the soft beancurd. The meat paste was pan-fried to a crisp surface and it was perfectly done so without it being overcooked. The seasoning was appropriate, with just the right balance of savouriness.The beancurd also had a thin crisp layer wrapping the soft inside. There were several sauces (sweet chili, sweet sauce and chili sauce) that were available at the table to go along with the dishes but even on its own, the stuffed beancurd was well balanced in texture and flavour. 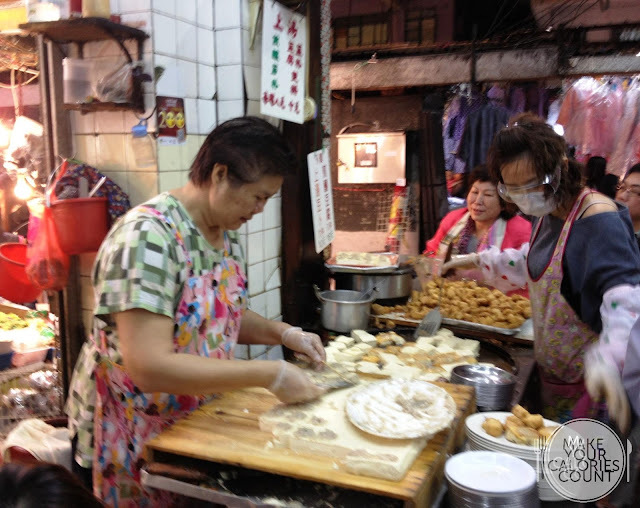 With an old aunt standing at the front of the shop preparing and cooking, the stuffed beancurd cannot get any fresher! 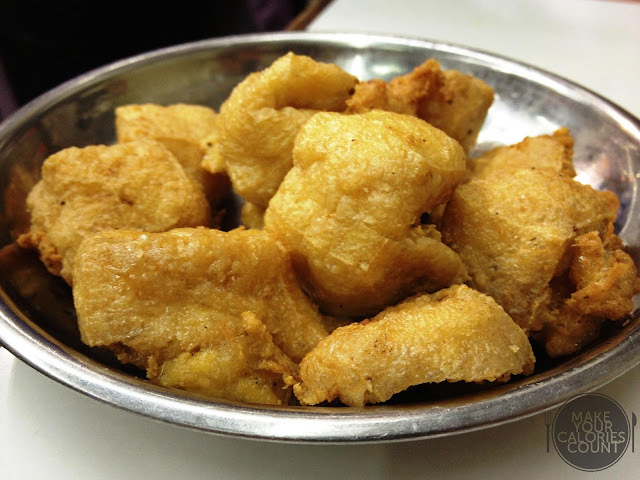 The 'tau pok' was crisp and fried to a golden brown. 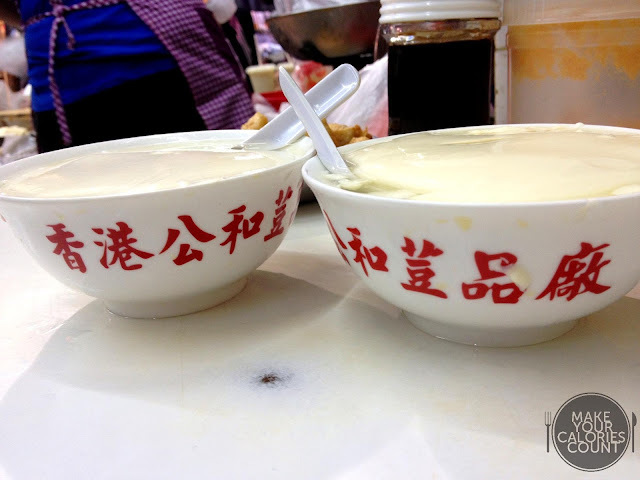 Despite the crusty surface to the dried beancurd, the inside was hollow. 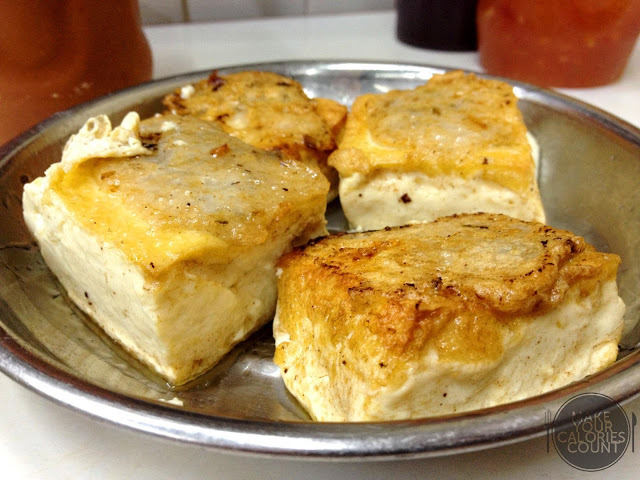 I would certainly say that this dish was a perfect complement to the above stuffed beancurd. Despite being deep fried, what we enjoyed about this local snack was that it was not overly greasy. 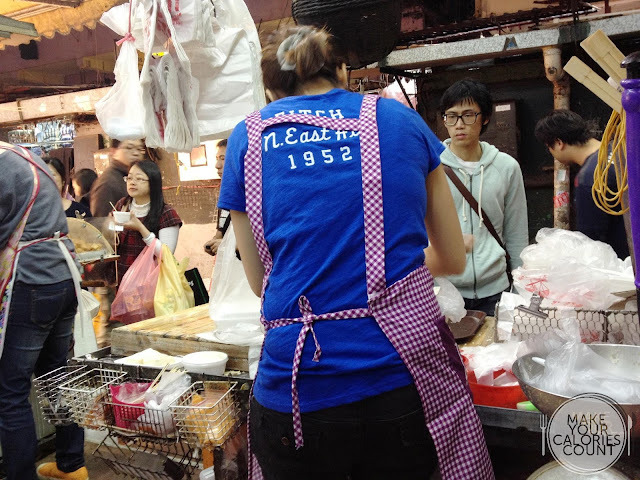 Despite this being one of the signature products at the shop, we still maintain our stance that the best one tried so far was 'Ah Yuk' at Yuen Long. The lack of soya beans' fragrance was the main flaw and while it was smooth, it was not the smoothest tried, be it the warm or cold version. (we ordered both to try the difference) If you had to choose one, do go for the warm version, for the cold version tasted more 'curdy'. There was a lady (the one in blue above) who stood at the front of the shop doing takeaway orders for soya beancurd and soya milk. Not photographed - we ordered two bottles of soya bean milk (sugar-free) and similar to the soya beancurd, we found that there was a lack of fragrance. 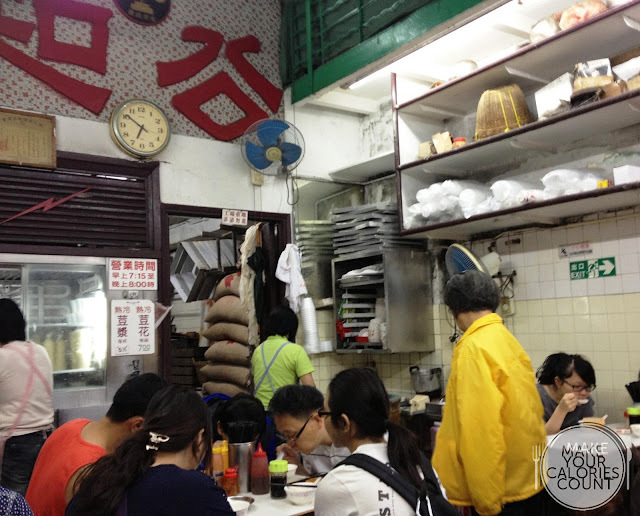 We would return for the stuffed beancurd and fried beancurd, but might probably pass on the soya beancurd. Expect a really cramped place or share table with other diners. It can be pretty stuffy inside the eatery and with the constant stream of diners coming, you would not be wanting to stay much longer after finishing.